Workers and communities must take the lead in making decisions for diversification, but a broad partnership involving all stakeholders is necessary for success. Political support for diversification must come from national, regional and local levels. Action must be taken at early stages to proactively assist communities in diversification, rather than reacting to a crisis. Suggested timelines to organise and plan for diversification range from three to five years as a minimum. Funding must be available not just for putting a plan into action but for organising, analysis of the situation, planning and then implementation. Existing organisations, relationships and expertise must be identified and taken advantage of and efforts should be made to ease the transition into more competitive civil markets. Joint ventures and network learning should be encouraged. Press reports include the following from The Guardian, The Herald, STV and Morning Star. In response to the report Fabian Hamilton, MP, Shadow Minister for Peace and Disarmament, said "While it is not yet Labour Party policy to scrap Trident, I am committed, not only to transitioning away from nuclear weapons, but to protecting jobs at the same time. High-skilled jobs are good for our economy and, if we decide to transition away from Trident, defence diversification is the only way to ensure that the vital skills used in the development of Britain's nuclear weapons are not lost. A defence diversification strategy would go hand in hand with Labour's plan to invest in our economy. We do not lack the talent, we simply lack the funding. There is no denying that Trident is a major employer in some parts of the country, so proper funding must be made available so those in high-skilled work, stay in high-skilled work." TUC Deputy General Secretary Paul Nowak added: "The UK's defence capability will always need to change over time to safeguard against new threats in a changing world. When decisions are made, it's important to protect and prioritise good quality UK jobs and the communities linked to the defence industry. Unions and the workforce should have a say in creating new opportunities for highly skilled workers in defence and other advanced manufacturing and engineering industries." Lloyd Russell-Moyle, MP for Kemptown & Peacehaven, remarked that British jobs should not be reliant on customers who regularly commit war crimes with their products, and they should be protected as much as possible from the growing tide of automation that has been hitting the arms manufacturing sector hard. The livelihoods of thousands of workers in the defence industries in Lancashire and Cumbria have been thrown away to market forces for years now. We cannot stand by and do nothing." "It is vital that we transform British manufacturing by diversifying British jobs away from the inherently unstable arms-export markets and towards the national defence and the civilian sectors, particularly in transport and renewable energy. Labour will properly resource a Defence Diversification Agency and learn from promising initiatives abroad to ensure that British engineers have decently-paid and socially useful work." Peter Burt, Nuclear Education Trust Trustee concluded that “Our independent analysis of international experience of defence diversification tells us that a government needs to be proactive in getting the conditions right for a successful transition from skilled defence jobs to those in the equally skilled, civil sector. Those conditions include complete stakeholder participation including workers and communities, and national, regional and local political support. Proactive planning and comprehensive funding, with continued learning for effective implementation are essential for success." "Many defence industry jobs are at risk from automation, global supply chains, changes in strategic thinking as well as the sheer cost of the work in today's austere financial climate. The Nuclear Education Trust calls on the current and future governments to make use of the findings of this research and integrate them into an effective defence diversification policy, part of a comprehensive industrial strategy." Barnaby Pace writes, researches and campaigns on politics and security. His work has featured in the SIPRI Yearbook, the edited collection African Muckraking, published by Jacana Media, and Offensive Insecurity, published by Scientists for Global Responsibility. He was a primary researcher for Shadow World: Inside the Global Arms Trade, and holds a Master’s Degree in Mechanical Engineering from the University of Warwick. Employment in the UK arms industry has been in decline for several decades. This decline is due to the increasingly capital intensive nature of the work carried out in the UK, automation, globalised supply chains, limited increases in defence spending and a highly competitive arms export market. Despite the 2016 Parliamentary vote to renew the UK 's Trident nuclear weapons, uncertainties remain over the future of the programme, particularly in terms of affordability, technical feasibility and political commitment (especially if the Treaty for the Prohibition of Nuclear Weapons is ratified internationally). There remains the possibility that in the event of a change of government at the 2020 UK election, the project will be scaled back or wound down. NET has therefore funded research to explore how defence diversification, as it has been demonstrated in international case studies, can be used to tackle the opportunities and challenges brought about by changes in defence spending and its effects on employment in the UK . The results of the work were discussed at a well attended launch in Committee Room 18, Westminster, 4pm Tuesday June 26th. Chris Williamson MP chaired the event, Fabian Hamilton MP, Shadow Minister for Peace and Disarmament and Paul Nowak, TUC Deputy General Secretary both spoke. Notes from the meeting can be read here. The Nuclear Education Trust would like to thank the Joseph Rowntree Charitable Trust for its grant to fund this work. 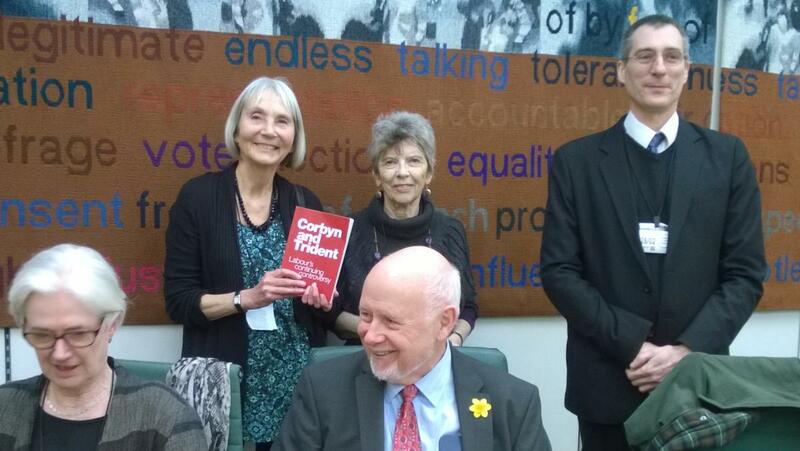 The results of a long-standing study into attitudes within the Labour Party on nuclear disarmament, funded by the Nuclear Education Trust, were presented at a seminar in Portcullis House, London, on 28 February 2017 chaired by Kelvin Hopkins MP. The study's findings were presented by author Carol Turner, who conducted the study, who explained how Labour's policy on nuclear weapons began to develop in the period immediately after World War II, when the Attlee government decided to acquire nuclear weapons, and how it became a defining but contentious issue for the Party in the 1980s. Many of the current views within the Labour Party on nuclear weapons have been shaped by the experiences of the 1980s – but are not always based on accurate perceptions of the politics of the era. John Edmonds, former General Secretary of the GMB trade union, gave a personal recollection of how Labour's policy had evolved and emphasised a number of factors which he felt were important in the debate on nuclear weapons within the Labour Party: jobs and employment conversion, how to genuinely address national security concerns, the UK's role in the world, and the view held by some that a desire to achieve a world without nuclear weapons does not automatically equate to Britain's 'unilateral' disarmament. He stressed that the view that the UK should abandon nuclear weapons on a matter of principle does not necessarily resonate with ordinary Party members unless it is underpinned by more pragmatically based arguments. Carol Turner's new book, 'Corbyn and Trident: Labour's Continuing Controversy' draws on many of the themes identified in her research on this topic, and is available from Public Reading Rooms. Further information drawn from the study will be published on the Public Reading Rooms website in due course. A new report on the contribution that Britain's nuclear weapons make to the NATO alliance concludes that their political significance ‘may be exaggerated’ and their role in relationships with NATO partners is ‘hotly contested’. The report, published 1st December 2015 by the Stockholm International Peace Research Institute (SIPRI) and the UK-based Nuclear Education Trust (NET), shows that UK strategic nuclear weapons have been a constant ‘contribution’ to NATO nuclear doctrine since the late 1950s but that ‘the exact nature of that contribution has become increasingly obscure since the end of the Cold War’. The report, ‘The British bomb and NATO: Six decades of ‘contributing’ to NATO’s strategic nuclear deterrent’, reviews the NATO political and military structures that influence the UK's nuclear weapons policy, how the UK's contribution to NATO's nuclear forces is valued by NATO allies, and the implications for NATO-UK relations of a decision not to replace Trident. The analysis is particularly topical in the light of the current UK Strategic Defence and Security Review and the imminent 'Main Gate' decision on Trident replacement. Strategic arguments for Britain retaining nuclear weapons have tended to fall into three broad categories: use in the last resort to deter a nuclear attack or nuclear blackmail; to provide reassurance in a potential future with many nuclear powers; and that an independent UK nuclear weapon system is necessary for Britain’s role in NATO. The report is also topical given that NATO is re-evaluating the role of nuclear scenarios and the use of nuclear weapons in its crisis-management exercises. According to a recently declassified US intelligence review, a nuclear weapons command exercise by NATO in November 1983, known as Able Archer, almost led to an inadvertent nuclear war. SIPRI's Ian Davis, who authored the report, said: “Despite Russian nuclear sabre rattling, it was only two years ago that Moscow had a seat at the NATO table. Is it really appropriate for the alliance to be returning to such a dangerous practice? “Instead, the alliance ought to be focusing on how to modernise the rules for reducing tensions, incidents or accidents that create misunderstandings – both conventional and nuclear – to minimise the risk of them spiralling out of control’, he added. Madeline Held MBE, Chair of the Nuclear Education Trust, said: "This study is extremely timely given the current debate over renewing the UK's Trident nuclear weapons and the government's wish to join other nations taking military action in Syria. 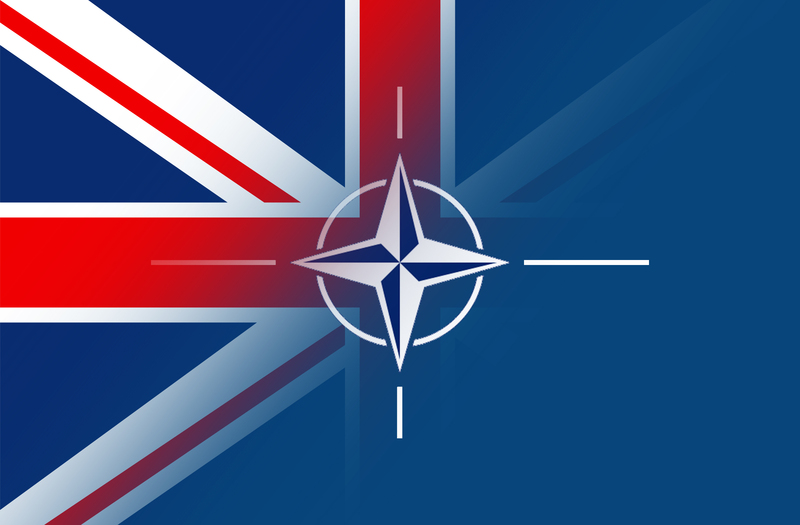 The role that the UK plays in NATO is not given enough scrutiny and it is important to understand that we have a range of alternatives and choices in how we can contribute constructively as a nation to the alliance." The report was launched Tuesday 1st December 2015, Betty Boothroyd Room, Portcullis House, London, chaired by Baroness Jones of Moulsecoomb. Dr Ian Davis joined SIPRI in November 2014. As Director of the SIPRI Editorial, Publications and Library Department he is responsible for supervising SIPRI's team of editors and managing the departmental budget and work flow. He is also responsible for all aspects of producing the flagship SIPRI publication, the SIPRI Yearbook, as Executive Editor. Prior to joining SIPRI he held several senior positions and worked as an independent human security and arms-control consultant. 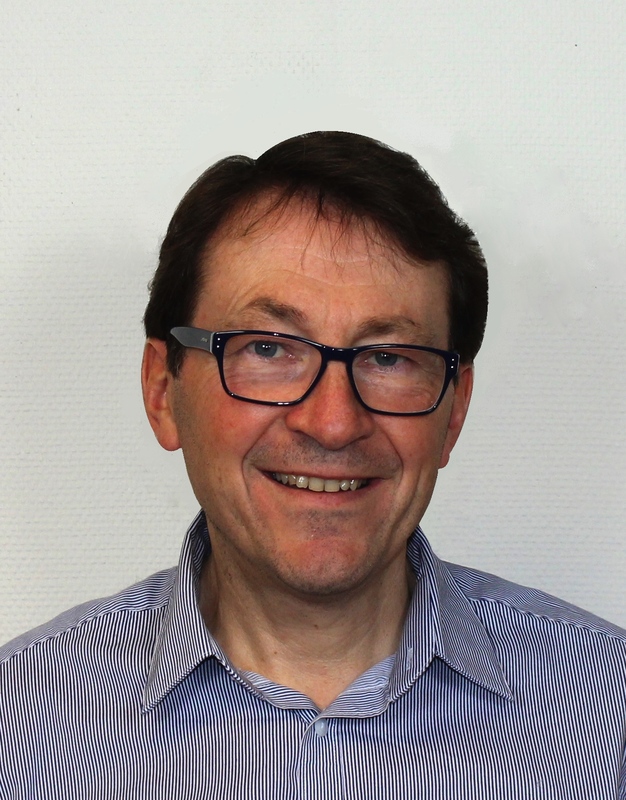 He has a long record of research and publication on international and regional security issues, is a trustee of Maternal & Childhealth Advocacy International (MCAI) and blogs on NATO-related issues at www.natowatch.org.